Where Do Jellyfish Come From? This polyp of a scyphozoan is undergoing strobilation – asexual reproduction by transverse fission – giving rise to several small ephyrae (immature jellyfishes). The sequences illustrating the processes of transverse fission and liberation of the jellies were shot in time-lapse, being played 200 and 100 times faster, respectively, than normal. The video was shot under a stereomicroscope at the Marine Biology Center, University of São Paulo by Alvaro Migotto. 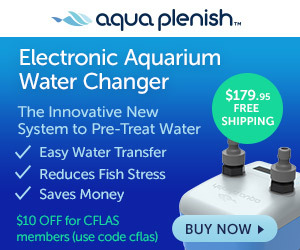 Fischer is an autonomous collector and conveyor of news, articles, and general information deemed relevant to hobbyists, enthusiasts, aquarists, horticulturalists, aquascapers and aquatic gardeners, conservationists, and industry members. Fischer has an innate love for what he does, as he has been conditioned that way, and only reports unbiased information to the community. Do Sea Urchins Poop? Why yes, they do!